Event Date & Time: Thursday, March 22nd, 2018, 2:00 PM - 3:00 PM ET / 11:00 AM - 12:00 PM PT What’s looking good for spring? Join moderator Alea Perez along with a panel of insiders who will share some of the hottest graphic novels hitting the shelves this season. 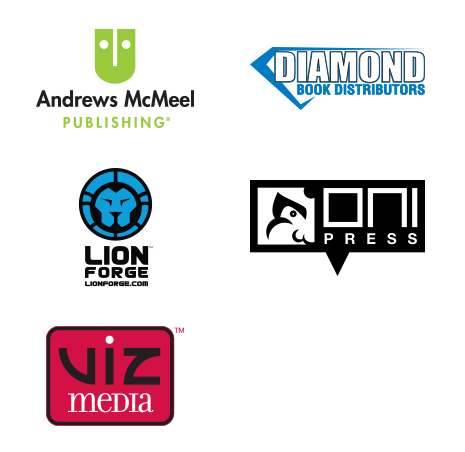 You'll hear all about upcoming releases from Andrews McMeel Publishing, Diamond Book Distributors, Lion Forge, Oni Press and Viz Media, including: Mine! Celebration of Liberty & Freedom For All Bingo Love The Altered History of Willow Sparks Dead Weight: Murder at Camp Bloom This Is A Taco! Sheets Super Late Bloomer Diary of an 8-Bit Warrior: Quest Mode …and more! We’ll be discussing the enduring relevance of this genre and examining the continuing crossover between children's books and graphic novels. Comics are forever pursuing diverse subjects and themes, so be sure to tune in to this lively and informative webcast about unforgettable new titles you won’t want to miss. Sponsored by: Follow us on Twitter! @SLJournal #SLJSpringGraphicNovels Need help getting registered? Send us an email describing your problem.